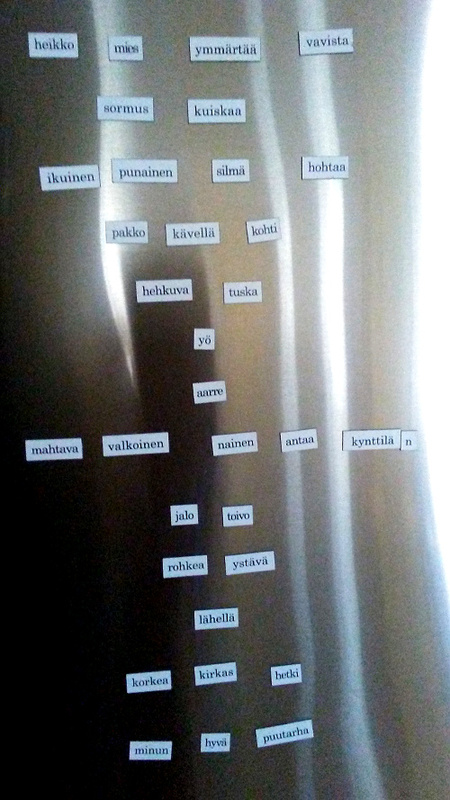 Years and years ago we got one of those poetry magnet sets in Finnish. Judging from the words included, it was a “love and romance”-themed set. We had fun playing with it for a while, but there’s only so many poems you can make about “forbidden lips” and “tender roses” before you get bored. So, what to do? How about scrounging through the words you’ve got and coming up with a Lord of the Rings poem instead?